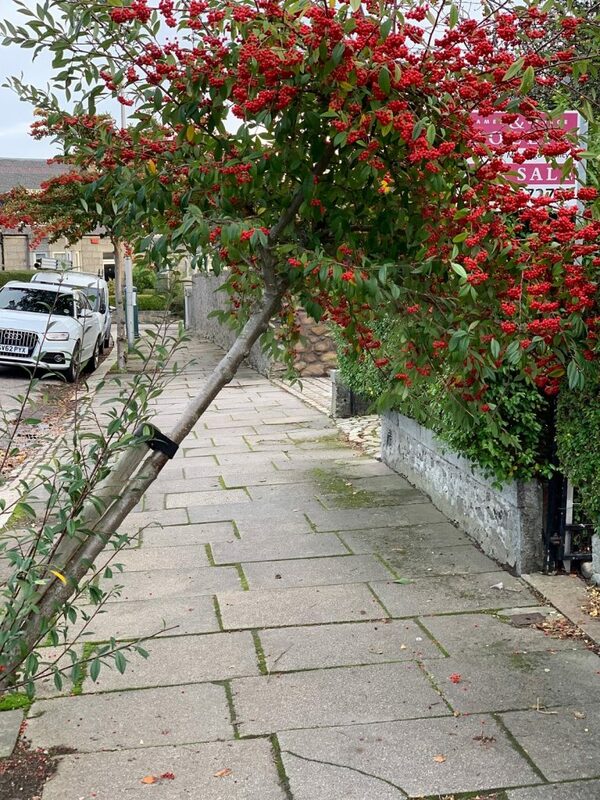 I have urged the council to re-stake the street tree which is currently leaning over the pavement outside 9 Braemar Place. I acted after being contacted by a resident who told me the tree was blown over in high winds. Please do let me know about any other problems with street trees in our area.